I’ve avoided writing this blogpost for a few weeks as I was feeling rather emosh about the whole thing and didn’t feel quite ready to “put pen to paper”. The beautiful thing about blogging and vlogging is that as well as sharing skills, ideas and opinions with others, it can also be very cathartic. It’s one of the best things about being a lifestyle and beauty blogger. For those of you new to my blog and YouTube, for the past 4 and a half years, I’ve been a qualified nail technician and beauty therapist under the guise of Divine By Design. The business was doing so well that just over 2 years ago the time seemed right to open my own nail boutique. It was an amazing time as when I signed up to my first nail and beauty courses in 2011, I had a vision that I would like to have enough clients to perhaps open my own salon once my youngest started full time school at 4. Well I’ve spent some of my best days over the past 2 years in that salon,I’m now moving on with a vision of becoming the best beauty blogger that I can, all whilst my youngest is still only 3. I’ve been very blessed and I’m very grateful for all of the awards, opportunities, support and clients that I’ve had during this time. I never imagined that I’d achieve so much so quickly. I always said when I started out in nails, that I would never do nail art, it was chavvy! I now realise that it was my own experiences of nail art at nail appointments prior to my training that were indeed chavvy. 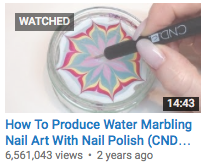 Since entering the professional industry I indeed discovered that nail art is one of the most beautiful, detailed, intricate and skilled art forms that there is. Just taking a walk round the competition areas at Olympia Beauty is a testament to that. As my Facebook following grew on Divine By Design, I was getting more and more people ask me how I achieved my nail art designs. It was taking so long to explain that I thought “surely it would be quicker to film a little tutorial on my iPhone?”. I’d followed Holly Schippers aka the FingerNailFixer since I’d booked my first nail course and loved her YouTube channel. Perhaps I could help and inspire people the way she helped and inspired me? 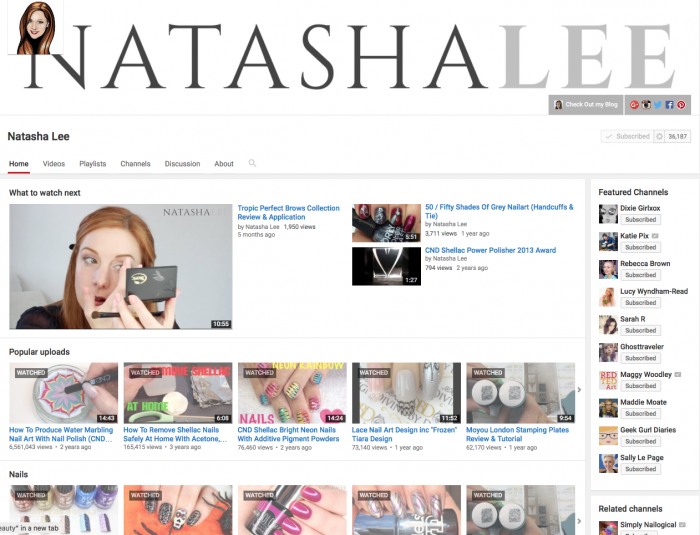 It was at that point my YouTube Channel “Natasha Lee” was born. Fast forward a couple of years and I met Steve Grady who was a Blogging & Business Mentor. His wife Julie of Zen Beauty was a fan of my channel, and Steve arranged a meeting with me for a chat about YouTube. As it happened, from that first meeting, Steve ended up becoming one of my closest friends. It was Steve that taught me that YouTube and Blogging can be a very successful career, not just a hobby as I had previously thought. How To Become The Best Beauty Blogger? With his teaching, support and guidance, I released my blog, this very one that you are reading, in August 2014. In honesty, it was a struggle finding the time to really dedicate to it with 3 kids, the salon and just day to day life, but I had a vision of becoming the best nail blogger and best beauty blogger that I could, so I squeezed what little free time I had into this blog & YouTube channel. I think nails will always be my primary passion, but I love all things beauty and hair too. I’d had clients and friends ask me so many questions about how to achieve my makeup and hairstyles, that I wanted to expand my YouTube channel and blog to give simple, concise and honest tutorials and reviews for real women; just like me, who might not have disposable time or funds. In August last year, I was selected by YouTube as one of the top 18 up-and-coming YouTubers, affectionally known as “Helium” Creators. I couldn’t believe it! What started out as a very pure sentiment of creating my channel to help a few nail techs in my online social group, grew virally at a rate I couldn’t have anticipated. 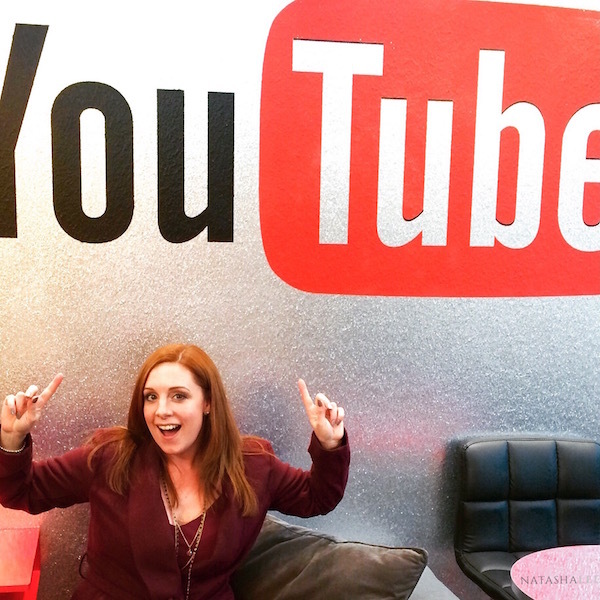 With spending more and more time at YouTube London, I realised that I couldn’t do it all, as much as I wanted to. To really grow with the opportunities and become the best beauty blogger that I can, I needed to dedicate all my time to it. All aspects of my life were beginning to get neglected as I tried to spread myself too thinly. I changed careers to become a nail tech so that I could work round my children and be there for them as much as possible as they grew up and that just wasn’t happening. So in December, I made the incredibly hard decision to sell my salon (but take “Divine By Design” with me as it feels like my baby) and once the salon sold embark on my career as a full time blogger and YouTuber! 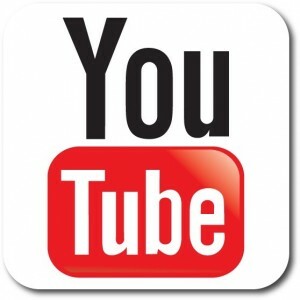 Previous articleYouTube London – Behind the Scenes!